When you’re turning into a monstrous half-man, half-wolf hybrid every month at the full moon, it can be hard to know whether you become the kind of lupine monster who leaves chaos and carnage in its wake, or if you’re actually extremely clean and organized. 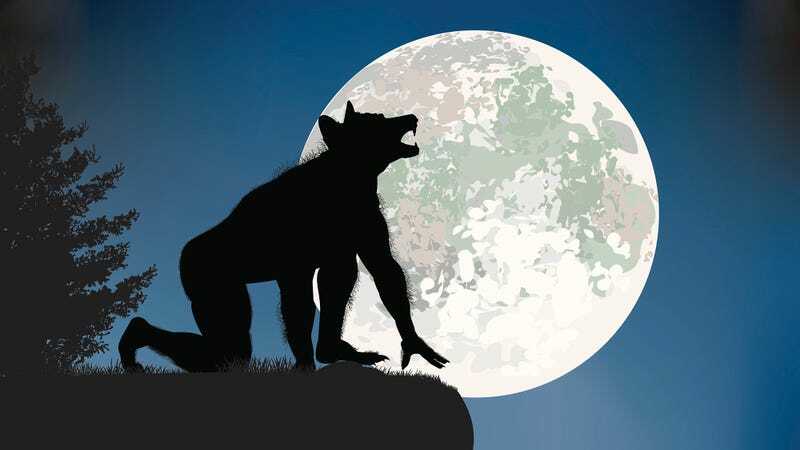 If any of the scenarios on this list sound familiar, it’s possible that the werewolf you turn into during a full moon might be a total neat freak. If, no matter where you are when the moon bursts through the clouds and provokes your painful transformation from man to beast, you always wake up several hours later confused, naked, and covered in blood on the floor of the nearest Container Store, inches from a half-full shopping cart of adjustable drawer organizers, there’s a very good chance you’ve spent the night as a neat-freak werewolf. On a particularly wild night, you may even find a shredded scrap of bloody post-it-note paper in the palm of your hand containing an extensive list of kitchen accessories that the beast within you was hunting for before the sun rose. If you wake up the morning after a full moon with the taste of blood in your mouth and see news reports about local cattle, sheep, and other livestock being devoured in record numbers with their bones methodically piled up according to relative length and width at the scene of the crime, this is a pretty strong indicator that you’ve spent the night as a detail-oriented, bloodthirsty werewolf. This is an obvious tell. If you suddenly start to find vicious, deep gashes on the edges of your pantry shelves that say things like “snacks,” “baking ingredients,” and “non-perishables,” than it’s likely the werewolf you transform into has mostly been working on efficient use of kitchen space while it has control over your body. When there’s a werewolf on the loose, the night of the full moon will often correspond with a series of gruesome child abductions in the middle of the night, but if the children reappear the next day completely unharmed and are far more well-groomed than they were when they vanished, that’s probably the work of a werewolf who makes neatness a major priority. Ask around to see if any moms in your neighborhood miraculously found their lost children near the forest at the edge of town sporting suspiciously clean fingernails, smelling like a Bath and Body Works, and missing three or four impossible-to-remove spaghetti stains that used to be on the front of their shirt. When you turn into a werewolf, it’s a given that you’ll be ravaging innocent civilians and flaying them alive with your powerful teeth, but only a particularly type-A variety of cursed beast thinks ahead and does a full week’s worth of picture-perfect meal-prep with the parts of the human carcass it doesn’t finish. If you open your fridge in the morning and find enough thigh meat to get through to the weekend, as well as little matching side containers full of thinly sliced human organs to snack on during the day, then that’s a pretty surefire sign that your wolfish alter-ego has a maniacal devotion to organization and planning ahead.